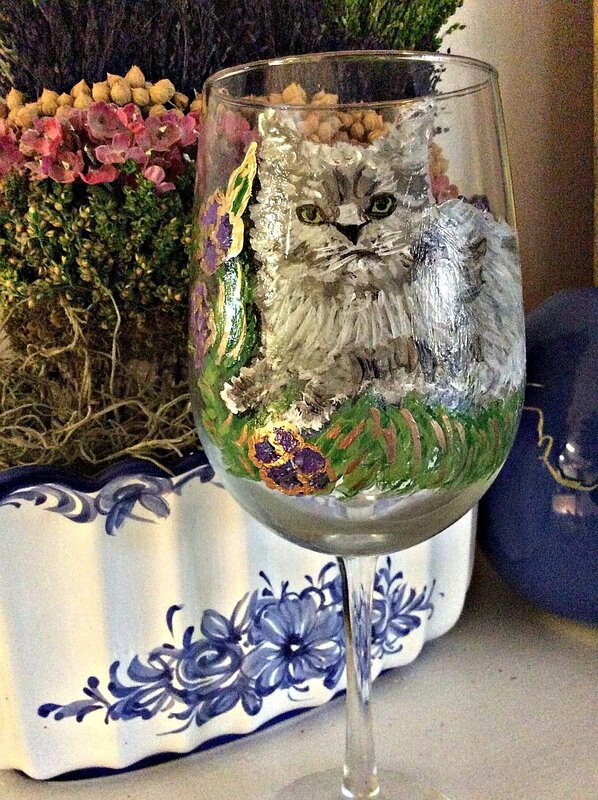 Our hand painted Russian Blue drinking or wine glasses are true to nature of this captivating cat with it's bright green eyes, two layers of short thick fur, and a blue-gray coat. The Russian Blue is an intelligent, curious, and tranquil animal. They are known for their friendliness, but are shy with strangers. They have been known to play fetch, and are sensitive to human emotions. 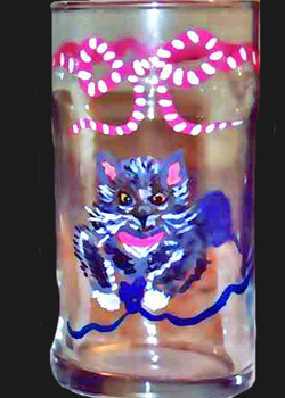 Our hand painted grey cat glasses capture the true essence of this loveable cat. 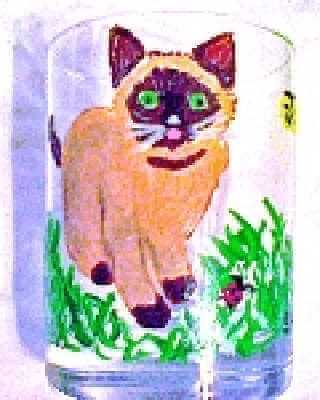 We also hand paint on plates, platters and Christmas Ornaments. If ordering from both glassware options with different quantities, place each option and their quantities along with each breed type in cart separately. Copyright Clearly Susan. All Rights Reserved. eCommerce Software by 3dcart.